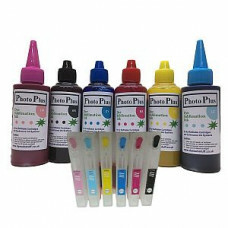 Browse here to see our range of empty refillable cartridges for use with dye sublimation inks for the various printer models. 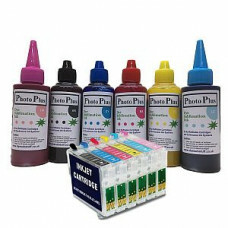 Epson Compatible T1005 Empty Refillable Cartridge Set. 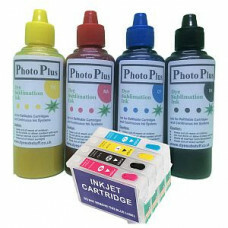 Empty Refillable Cartridge Set Compatible with Epson T1005 Ink Cartridges. A set of 5 empty refil..
Epson Compatible T1636 Empty Refillable Cartridge Set. Empty Refillable Cartridge Set Compatible with Epson T1636 Ink Cartridges. A set of 4 empty refil..
Epson Compatible T2438 Empty Refillable Cartridge Set. Empty Refillable Cartridge Set Compatible with Epson T0615 Ink Cartridges. A set of 6 empty refil..
Epson Compatible T2636 Empty Refillable Cartridge Set. Empty Refillable Cartridge Set Compatible with Epson T2636 Ink Cartridges. A set of 5 empty ref..
Epson Compatible T2715 Empty Refillable Cartridge Set. Empty Refillable Cartridge Set Compatible with Epson T2715 Ink Cartridges. A set of 4 empty refil..
Epson Compatible T2996 Empty Refillable Cartridge Set. Empty Refillable Cartridge Set Compatible with Epson T2996 Ink Cartridges. A set of 4 empty refil..
Epson Compatible T3357 Empty Refillable Cartridge Set. Empty Refillable Cartridge Set Compatible with Epson T3357 Ink Cartridges. A set of 5 empty refil..
Epson Compatible T1816 Empty Refillable Cartridge Set. Empty Refillable Cartridge Set Compatible with Epson T1816 Ink Cartridges. 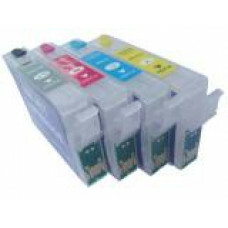 A set of 4 empty refil..
Epson Compatible T0487 Empty Refillable Cartridge Set. Empty Refillable Cartridge Set Compatible with Epson T0487 Ink Cartridges. A set of 6 empty refil..
Epson Compatible T1285 Empty Refillable Cartridge Set. 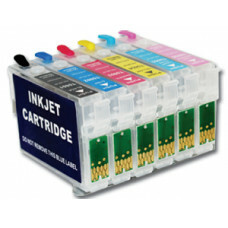 Empty Refillable Cartridge Set Compatible with Epson T1285 Ink Cartridges. 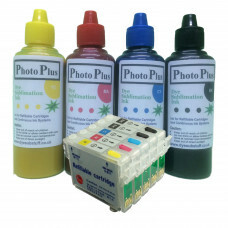 A set of 4 empty refil..
Epson Compatible T0615 Empty Refillable Cartridge Set. Empty Refillable Cartridge Set Compatible with Epson T0615 Ink Cartridges. 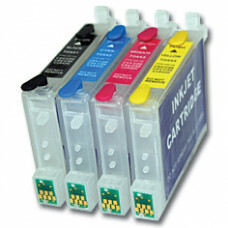 A set of 4 empty refil..
Epson Compatible T0715 Empty Refillable Cartridge Set. Empty Refillable Cartridge Set Compatible with Epson T0715 Ink Cartridges. 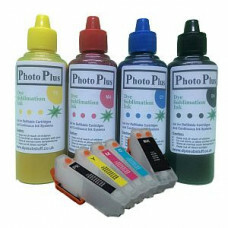 A set of 4 empty refil..
Epson Compatible T0807 Empty Refillable Cartridge Set. Epson Compatible T1295 Empty Refillable Cartridge Set. 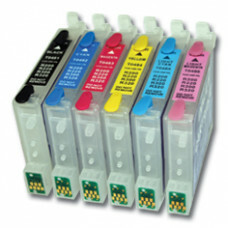 Epson Compatible T0797 Empty Refillable Cartridge Set. Empty Refillable Cartridge Set Compatible with Epson T0797 Ink Cartridges. A set of 6 empty refil..